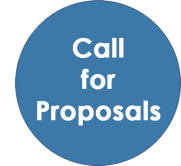 Global Call for Proposals-- DUE SOON! Stay connected to the international birth community! Follow the Ethiopia MNCH & Midwives Initiative on Facebook to connect with others interested in birth in Ethiopia and around the world. 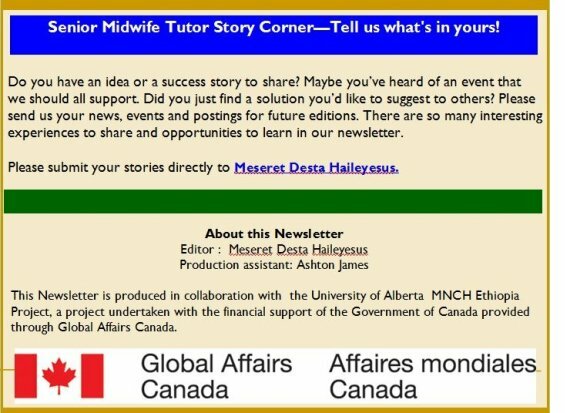 Subscribe to Midwifery Today E-News You'll find information about birth in other countries and other exciting cross-cultural opportunities. Subscribe to the Midwives Information & Resource Service (MIDIRS) Digest to receive your free student literature search pack. 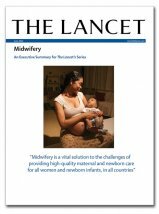 Did you know the Lancet Series on Midwifery identified 56 outcomes improved by midwifery care? These outcomes include: fewer preterm births, reduced interventions in labor, increased birth­ spacing, increased contraceptive use, increased breastfeeding initiation and duration and shorter hospital stays. A free course featuring maternal health experts and evidence across disciplines including epidemiology, health systems, economics, advocacy, programming, obstetrics and midwifery. It's designed for those considering or taking postgraduate study in maternal health or a related topic such as public health, global health or medicine and covers content from high-, middle- and low-income settings. It's offered by the Lancet Maternal Health Series. "A successful midwife has learned to listen with both her mind and her heart and has mastered the ability to blend with her client's environment." Welcome to the 49th Edition of our Mother and Child Health Newsletter. 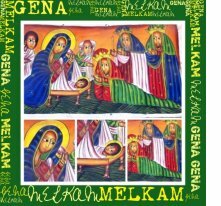 Happy Ethiopian Christmas! We wish you a joyful holiday season along with peace, love and light in 2018. As we embark on a new year, we look forward to working with our partners to improve the lives of the world’s most vulnerable women and children. Our newsletters are an easy way to stay up-to-date with our new developments and interesting research on maternal, neonatal and child health. If you have comments or questions about this newsletter or our program, contact the ET-MNCH Program or our editor, Meseret Desta Haileyesus. Remember to follow us on Twitter and Facebook too! 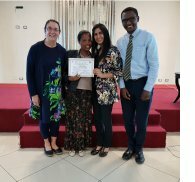 The Ethiopia-Canada Maternal Neonatal and Child Project (MNCH) offered Micro-Research training to four interdisciplinary groups of health professionals in Addis Ababa this past November. The Micro-Research course, based on a curriculum developed by Dalhousie University, trains health professionals to ask questions needed to improve local health care, expands research capacity and drives the desire to continuously improve healthcare service delivery. The four groups of students developed proposals to study maternal death at St. Paul’s Hospital Memorial Medical College (SPHMMC), maternal age and birth outcomes, post-operative acute pain management and hearing loss among cereal millworkers in Ethiopia. Because the students are submitting their projects to the Research Directorate at SPHMMC for funding consideration through the ET-MNCH program, the students have an opportunity to gain practical experience in research and bring about lasting change in service delivery. Dr. Roger Turnell, Ethiopia-Canada Maternal Neonatal Child Health Project (ET-MNCH) Director said, “The projects have the potential to bring about institutional change at SPHMMC and beneficial change on a national level.” The groups are currently editing their proposals for submission to the Research Directorate at SPHMMC. Good luck to everyone involved! More than 130 delegates participated in the ICM Triennial Congress in Toronto, Canada, with over half of attendees participating for the first time. The congress was a lightning rod for education, information sharing, networking and stratification of the role midwives will play over the coming years in the sexual, reproductive, maternal and newborn health for over 4000 attendees. Delegates identified the ICM's strategic direction for the 2017-2020 triennium and adopted several new position statements, including a comprehensive definition of midwifery. They also received updates on various ICM projects, including the Midwifery Services Framework, Midwifery Education Accreditation Programme, ICM Young Midwifery Leaders Program and ICM/Direct Relief Mapping project, as well as updates on essential competencies, global standards for midwifery education and ICM’s history project. May 5th is the internationally recognized day to celebrate the achievements of midwives. The International Confederation of Midwives (ICM) established the idea of the 'International Day of the Midwife' following discussions among midwifery associations in the late 1980s, then launched the initiative formally in 1992. The theme for IDM 2017 was "Midwives, Mothers and Families: Partners for Life!". Midwives everywhere understand that by working in partnership with women and their families they can support them to make better decisions about what they need to have a safe and fulfilling birth. An estimated 65.6 million people worldwide were considered forcibly displaced as a result of conflict and persecution by the end of 2016--the highest number on record. Women and girls comprise half of this population. In 2017, various organizations, including the Maternal Task Force, co-hosted a panel discussion as part of the Advancing Dialogue on Maternal Health Series to draw attention to maternal health in urban humanitarian settings around the world. Several new guidelines were released in 2017 to support maternal, newborn, child and adolescent health in easy-to-access documents for policy-makers, program managers, and health professionals. Twelve proposals will be selected for development as case studies that provide insight about what has worked and why in collaborating across sectors. Deadline: January 21, 2018. 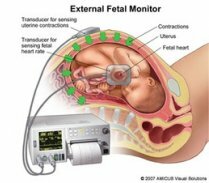 Electronic fetal monitoring is often used during labour to detect unborn babies at risk of brain damage (neonatal encephalopathy) from a lack of oxygen (hypoxia). In the UK, continuous monitoring is used only for women in high risk labour, but should it be used for all women in labour? Experts debate the issue in The BMJ. 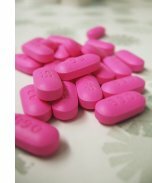 Taking folic acid in late pregnancy may increase the risk of allergies in offspring affected by intrauterine growth restriction (IUGR) according to a study published in the American Journal of Physiology -- Regulatory, Integrative and Comparative Physiology. A research team at the University of Michigan C.S. Mott Children's Hospital and Michigan Medicine is studying infants at the highest risk of sleep disorders, including those with chronic illnesses. The team's latest research focuses on newborns with spina bifida, which is the most common permanently disabling birth defect in the U.S.